The York 25kg (55lbs) Pro-Style dumbbell is a professional, high quality dumbbell that offers durable urethane/rubber weighted fixed ends. Thanks to the knurled textured handle, the York Pro-Style dumbbell offers great balance and firm grip. It is made from steel and includes chrome finish. This solid dumbbell is sold individually. 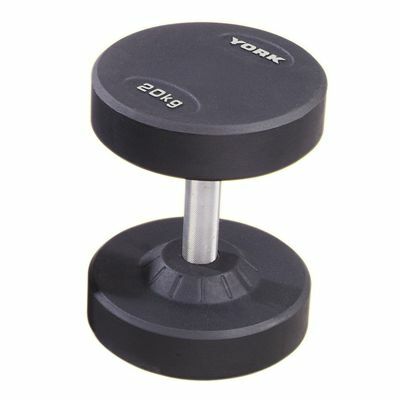 for submitting product review about York Pro-Style 25kg Dumbbell.